We are the plumbing industry’s marketing and advertising experts. This is our niche! Contractor 20/20 has been studying and collecting the best plumbing marketing practices from across the country and we have the results to prove it. We know how plumbing companies work, we understand their numbers and the nuances of pricing (even down to travel time), and we know which advertising and marketing strategies get the best results down to what part of the country you live in. Contractor 20/20 is devoted to the hard working men and women in this industry, and it is our pleasure to create marketing for plumbers that helps them improve profits and expand their businesses. You Need An Internet Presence. Because of the internet, having a successful plumbing advertising and plumbing marketing program has never been more critical. 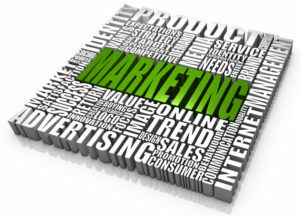 Marketing is the lifeblood of any kind of business and the plumbing industry is no exception. Studies show that more than 70% of homeowners searching for local plumbers are using the internet every day. If you’re not advertising and marketing your business online, or with other forms of media marketing, you’re losing valuable sales to your competition. Contractor 20/20 has the advertising expertise to get you the business you need using Website Development, PPC (pay-per-click) Advertising, Search Engine Optimization, Local Search Campaigns and other online marketing strategies. Your website is now your storefront. You need an internet presence. Do you have a clear understanding of who your client is? What their needs and values are? How to best target the market you’ve chosen? Using market research, we are able to help you pinpoint your best customer and develop a marketing campaign that will connect with and attract those best customers. No gut feelings, no wasted time and money, and no unnecessary re-branding or expensive campaigns. We simply identify who you naturally attract, build on those strengths, help you keep the customers you already have, and get the phones ringing with people who are likely to buy from your company. Why Do Plumbers Use Our Advertising and Marketing Services? First, our advertising and marketing strategies work. Second, we make it easy and affordable to advertise on and off the internet. Third, we know that your time is valuable and that you don’t have the time to run a plumbing company AND become an advertising expert. Our team of experts can help you craft an advertising program that will work harder and make you more money than if you hired another sales rep to go around knocking on doors. And lastly, we can handle just about all of your marketing and advertising needs. We are experts in direct mail, radio, TV, and internet marketing. We can help you with jingles, on-hold message marketing, and other branding strategies. And our new specialty marketing division is using the best specialty marketing tactics (yard signs, gifts, equipment labels, etc.) in the industry in creative ways. Contractor 20/20 also knows how to help you find the best employees so that when your business starts to grow, you can keep up with the work! We do it all, and we do it all well! Whether you are a new company looking to build your business, or an established company looking to outsource some of its work, you cannot fail by picking up the phone today and scheduling a meeting with Contractor 20/20. Call Contractor 20/20 today at (607) 770-8933 and take your business to the next level.